Smooth polyester fabric resists picking up dirt and grit. 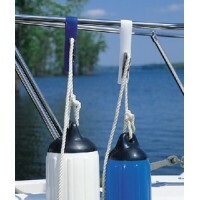 The neoprene sewn into the hem keeps the b..
3/8x6ft fender loc line 2/pk Pack: 2Size: 3/8" x 6' (Two)Color: White.. 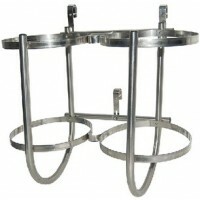 Stainless steel peg and hangs from top line. 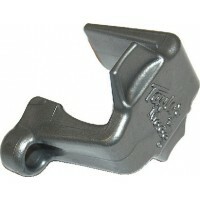 The peg fits in old style fender lock brackets. 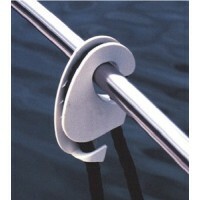 Set inc..
Vinyl fender adjusters simply snap over lifelines or railings and are ready to use. Holds line up to.. The ultimate in hull protection. Constructed of 100% polyester 12 oz. blizzard fleece. This ultra so.. 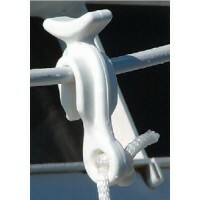 Heavy weight, high tenacity solution dyed polyester yarn that stands up to sunlight, abrasion and ha.. 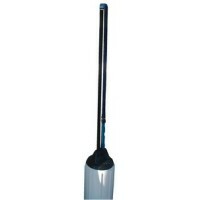 This is a quick and easy way to adjust the height of your fenders! 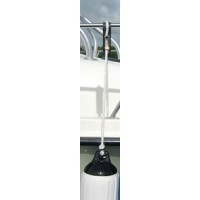 Simply loop through the fender, p..
Injection molded polyethylene clamp brackets mount securely to your 3/16"-1/4" lifelines. 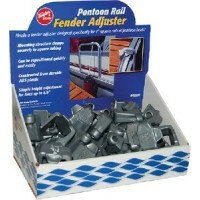 Used for h..
A fender adjuster designed specifically for the 1" square tube rails of pontoon boats. The mounting .. 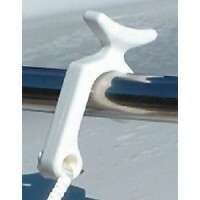 This unique design makes to easy to adjust fender heights and locks in place with a jam cleat - no k..
Injection molded polyethylene clips mount securely to your 7/8" railings. 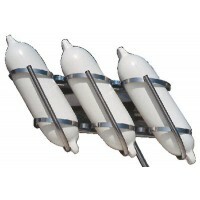 Used for hanging fenders, .. 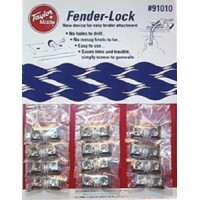 Double locking clamp design provides for a quick and easy fender height adjustment. 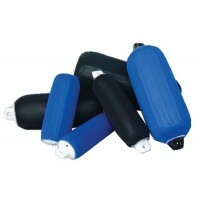 Injection molded.. 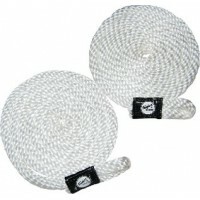 Constructed from 3/4" polyester webbing with UV protection. 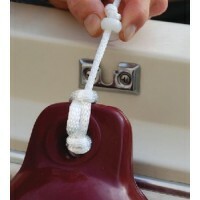 This unique hanger allows you to adjust ..
A convenient place to stow fenders. 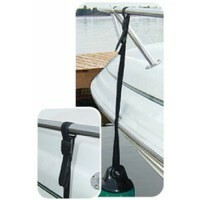 Mounts on any rail and stanchion system. 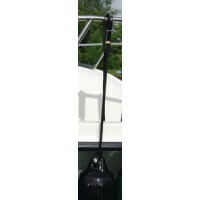 Movable J hooks accommo..
Tidy-Ups Kits include (1) Tidy-Ups Fender Adjuster and (6) feet of 3/8" solid braid polypropylene ro..
Nylon. 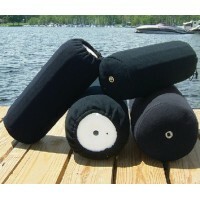 Circular knit fabric eliminates lateral seams. Tear & abrasion resistant. Solution-dyed synth.. 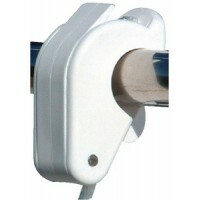 Mounting band snaps around any rail, stanchion, cleat, etc. To change length of line, just pull up t..